Thank you for visiting Firefly Sunset Resort! Looking to get away from it all? Want to celebrate a honeymoon or babymoon? Need a perfect place for the family to get together? Then Firefly Sunset Resort is waiting for you. Located on the Sea of Abaco in the Bahamas, we opened quietly in late 2010 and celebrated our grand opening in 2011. We boast seven beautiful, fully-equipped cottages and villas, a delicious on-site restaurant and all the amenities and services you would expect from a high-end resort. Our family-friendly resort has become one of the favorites in Hope Town, so much so that often when our guests check out from their stay with us, they book their next stay with us before they leave. Whether you’ve heard about us from friends and families or just discovering us, we can promise you that your stay will be memorable, relaxing and stress-free. The way a true vacation in the Bahamas should be. 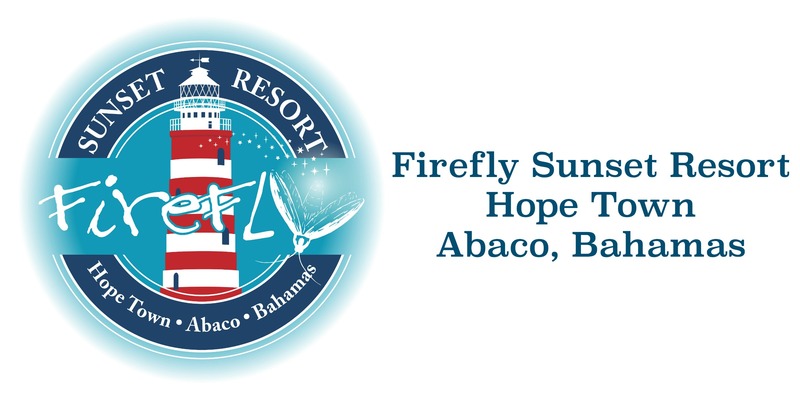 Each season, we’re introducing new services and amenities and our Firefly Sunset Resort team wants to make sure you’re completely satisfied with your stay here. Proprietor and general manager Lorenzo Barigelli and his team understand the importance of providing you with the service you deserve. Lorenzo, his wife Patricia and daughter Emma live on-site and can help you create the Bahamian experience you always dreamed of. Lorenzo has extensive knowledge and experience in the hospitality industry. Over his seasoned career, he has worked at Atlantis in Nassau, in Puerto Rico, Jamaica, Mexico and Colorado. He also was the CEO of a catering company and has worked in all aspects of food & beverage and hospitality. Along with his wife Patricia, he has beautiful daughter Emma, who can be seen making all the guests smile. As a native Bahamian, Lorenzo knew he wanted his daughter to grow up on Elbow Cay and is thrilled that they are where they wanted to be. Patricia is a native of Hope Town, so she really knows the island is also very happy to be back in her favorite paradise. She works in our main office on-site assisting visitors with booking, concierge services, keeps the The Boutique stocked and more. Like Lorenzo, she wears many hats at the resort. Get social with us and follow us on Facebook, Twitter and Instagram.